Office space for rent in Bkc - bandra east - ,Mumbai Rent office space in bkc ,Mumbai Rent Office spaces in bkc , available on lease office space commercial property in Bandra kurla complex ( bkc ) ,for office seekers Rent office space commercial property bandra kurla complex Mumbai for lease / rent /sale in bandra kurla complex bandra east available office spaces / space on lease in bkc mumbai western suburbs fully furnished |\ Semi furnished || unfurnished in Bkc , bandra kurla complex Many unit options available in different sizes Mumbai western suburbs . fully furnished G block 5100 sq ft @ Rs 230 per sq ft Office space for rent in Bkc with work stations carbines ,conference room ,pantry, reception area etc - excellent glass facade building,building occupied with all MNC companies , rentals slightly negotiable.- Many Options Available !!! Rent commercial office spaces in bkc -,Lease / rent commercial property in bkc bandra kurla complex - Bandra East - Mumbai. fully furnished 1275 sq ft @ 230 per sq ft Office space for rent in Bkc Near G block furnished with 8 workstations, 2 cabins, conference room. - Rent commercial office spaces in bkc - bandra kurla complex - Bandra East - Mumbai. Unit options Available call Now !!! Lease commercial office for rent in bkc :Mumbai - office for rent in bkc - commercial property in bkc fully furnished in One bkc new building in bandra kurla complex sq ft area 1800 sq ft Rs 220 per sq ft for plug-n-play with 16 workstations, 2 cabins, conference room, pantry, toilet etc. Building Occupied by all mnc companies - Rent commercial office spaces in bkc - Bandra East - bandra kurla complex - ,Lease / rent commercial property in bkc Mumbai. 7500 sq ft Office space for rent in bkc , Mumbai :Rent commercial office spaces in bkc Maker Maxity bandra kurla complex - Mumbai.7500 Sq. Ft, Commercial Office/Space rent /lease in bkc,in Maker Maxity Built-up @ Rs.350 per sq.ft Fully furnished office available in the most premium office building in BKC, This office is ready to use fully furnished - Rent commercial office spaces in bkc - ,Lease / rent commercial property in bkc bandra kurla complex -Bandra East - Mumbai. 2300 sq ft Office space for rent in bkc : Mumbai :In Bkc rent office space commercials in bkc, bandra kurla complex in fortune 2000, 2300 sq ft fully furnished Rs 250 SQ FT- - Rent commercial office spaces in bkc - bandra kurla complex - Bandra East - Mumbai. 700 sq ft Office space for rent in bkc , Mumbai :find for Rent commercial office space in bkc 700 sq ft bup area 575 carpet area fully furnished with work station cabins conference reception area attached washrooms Rs 200 per sq ft Available Rent commercial office spaces in bkc - ,Bandra East - Lease / rent commercial property in bkc bandra kurla complex - Mumbai. Commercial Office space for rent in bkc : Mumbai :Find offices spaces for rent in bkc 405 sq ft carpet area bup area 590 fully furnished with work station cabins conference reception area attached washrooms Rs 200 per sq ft Rent commercial office spaces in bkc - ,Lease / rent commercial property in bkc bandra kurla complex - Mumbai. small Office space for rent in bkc : Mumbai - Bkc rent office space/ commercials in bkc, bandra kurla complex , ,Lease / rent commercial property in bkc bandra east,very exclusively furnished small cabin Executive workstations: 4, Small workstations: 12 1 conference room with seating capacity of 6-8 persons. 1 small cafeteria area, 2 toilets Pantry, Reception area with seating and security/receptionist desk. Fully and beautifully furnished with wood and veneer. Corner office with 2 side windows- complete natural light all day. 2 car parking. Lease/Office space for rent in bkc , Mumbai : 10500 sq ft Rs 230/- per sq ft office space for lease in the capital bkc bandra east mumbai . lease this commercial building in bkc with cool lobby and 24x7 security,car park zone ,banking facilities award winning commercial property for lease/sale in The capital at bkc mumbai india ,western suburbs mumbai . CALL NOW IMMEDIATE DEAL ASURED !!! Get Office space for rent in bkc , Mumbai :Get On Rent office spaces in bkc - bandra kurla complex ,Lease / rent commercial property in bkc fully furnished Carpet 1030 ,Built up-1823 Rent-2,50,000 per month One car parking.- Rent commercial office spaces in bkc - ,Lease / rent commercial property in bkc bandra kurla complex - Mumbai. Unit options Available call Now !!! 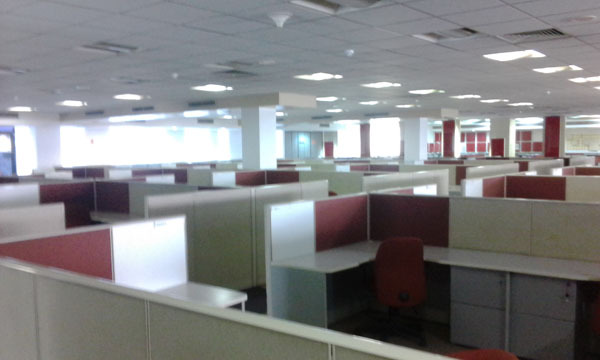 Trade center Office space for rent in bkc : Mumbai :Lease / rent commercial property in bkc bandra kurla complex fully furnished ,Carpet-1088 Built up-1892 Rent- 3,05,000 One car parking- Rent commercial office spaces in bkc - ,Lease / rent commercial property in bkc bandra kurla complex - Mumbai. Acquire Office space for rent in bkc : Mumbai :On Rent commercial office spaces in bkc -,Lease / rent commercial property in bkc bandra kurla complex fully furnished Carpet-1030,Built up-1800 Rent-3,00,000 One car parking- Rent commercial office spaces in bkc - ,Lease / rent commercial property in bkc bandra kurla complex - Mumbai. Procure on Rent commercial office spaces in bkc - bandra kurla complex fully furnished Carpet -450 Built up – 747 Rent – 148000 1 Car park included in rent - Rent commercial office spaces in bkc -,Lease / rent commercial property in bkc bandra kurla complex - Mumbai. Consider office space for lease in bkc,Mumbai - Lease / rent commercial property in bkc Vaibhav Chambers sq ft area 895 carpet buit-up 1385 rent Rs 250 per sq ft on built-up semi furnished - 1 car park included - - Rent commercial office spaces in bkc - bandra kurla complex - Mumbai. Unit options Available call Now !!! 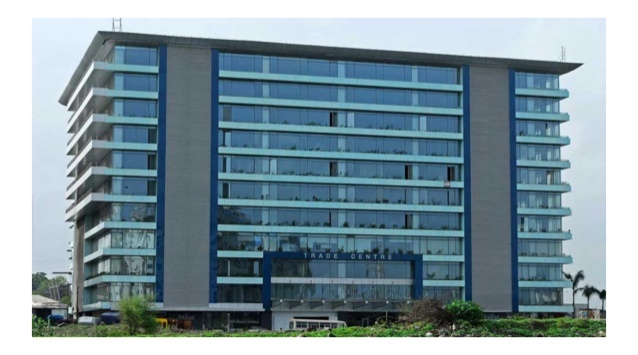 Attain Commercial property in bkc ,Mumbai - Rent office space bkc available in Vaibhav Chambers bkc ,sq ft area 2346 carpet buit-up 3636 rent Rs 250 per sq ft on built-up fully furnished 2 car parks 6 cabin, workstations : 25 ,1 conference room with seating capacity of 6-8 persons. 2 toilets,Pantry,Server Room,2 Store Rooms,Reception area with seating and security/receptionist desk. Access card control for all doors and main entrance,Fully and beautifully furnished,complete natural light all day. Centrally AC with AHU installed.Fuly wired for internet. Epabx installed. Rent commercial office spaces in bkc - bandra kurla complex - Mumbai. Rent office space bkc available in Vaibhav Chambers, sq ft area 4300 approx Rs 250 per sq ft on built-up fully furnished / semi furnished as required - For Rent commercial office spaces in bkc - ,Lease / rent commercial property in bkc bandra kurla complex - Mumbai. Rent office bkc spaces in One BKC at Bandra Kurla Complex, ,Lease / rent commercial property in bkc 3345 sq. ft. Chargeable, 2230 sq. ft. carpet approx Rs 240 /- per sq ft - For Rent commercial office spaces in bkc - bandra kurla complex - Mumbai. CALL NOW !! Available on Rent office spaces in bkc in ONE BKC, ,Lease / rent commercial property in bkc bandra kurla complex new building Area: 1,656 Sift Built up Condition: Bare shell Car Parking: 1 Rs. 250 per Sq ft on Built Up (Negotiable) - For Rent office spaces in bkc , bandra kurla complex - Mumbai. CALL NOW !! Rent commercial office spaces in bkc ,Lease / rent commercial property in bkc bandra kurla complex 5200 sq ft fully furnished with work station , cabins , conference room , reception area , washrooms etc RS 230 /- per sq ft immediate possession walk-in office at bkc - Rent commercial office spaces in bkc - bandra kurla complex - Mumbai. Rent office spaces in bkc ,Lease / rent commercial property in bkc at bandra kurla complex currently fully furnished sq ft area 1105 bup walk-in office at bkc with 10 work stations 2 carbines 1 meeting room washroom and reception area Rs 220000 /- negotiable Many Available !!! Rent commercial office spaces in bkc - bandra kurla complex - Mumbai. GET acquired commercial office space IN BKC (BANDRA KURLA COMPLEX) : Mumbai India :ARTICLE : Currently However. Are you wanting for commercial property for lease in bkc or a store /retails space in Bandra Kurla complex settled in Bandra east? We’have bunch of offers awaiting you decision .Lets update all for the bkc background. As of currently bkc is recognize as the most expensive polished commercial location within the western suburbs of Mumbai ( india) ,with such a large amount of high-rise commercial building of international commercial place that be gathered by it mass occupancy largely MNC corporations and corporates or as of currently LLP. BKC presently thought-about by several to be the money hub or so to say commercial hub of all of India creating it an attractive setting for commercial property in Mumbai. Offices in Bandra Kurla advanced are encircled by a number of advantages / effective infrastructure cool lobby automotive park zone recreation space within the building vicinity itself. Offices in BKC vary from 700 to 90,000 sq. feet of usable space, with rental approx at Rs 180 to 300 per sq ft .